FSMA regulations require that key personnel in charge of developing and implementing the Food Safety Plan at a company must be a “Preventive Controls Qualified Individual, PCQI. The live virtual interactive instructor-led 20 hour Preventive Controls for Animal Food (PCAF) Course is offered as an alternative to the site-based PCAF course: the virtual approach enables multiple half-day sessions as an alternative to the 2 8-hour sessions & one 4 hour session and is very accommodating for individuals who cannot afford the time to travel for the PCAF course and need time in the plant daily. This is the perfect solution for busy managers and executives as well as plant personnel! Also, additional team members can participate without disrupting the workplace or incurring travel expenses! The Simple Compliance Solutions course fee includes the $50 FSPCA official certificate. Rachel Montgomery of Simple Compliance Solutions has provided the PCAF course since mid-2016 and pioneered with offering the course live, virtually and interactively. Simple Compliance Solutions also has years of experience in actual food processing on two continents and helping clients on five continents. Participants rave about the meaningful examples Montgomery can share, and we have received excellent feedback about how the participants feel very engaged with the instructor and other participants. Private virtual training is also available. Include your whole team to enhance implementation and have back-ups to handle the eight duties of a PCQI, including the requirement for review of records within 7 working days. Prepare for the new FSMA regulations, when a Preventive Controls Qualified Individual (PCQI) must perform or oversee activities, including preparation of the food safety plan, validation of the preventive controls, records review, and reanalysis of the food safety plans. Learn how to develop a food safety plan compliant with the Preventive Controls rule. Engage in an interactive classroom environment, with an instructor who holds the FSPCA certificate and has real-world industrial experience with FDA compliance. Learn best practices and review case study examples. Receive the official FSPCA Certificate of Completion and the official FSPCA course book, with reference material as PDF for the virtual course. This is The Official Curriculum Taught By Lead Instructors Holding Certificates. by FSPCA An FSPCA Blended Course for Preventive Controls for Animal Food is in the works, Currently, the Blended eLearning format is only available for the FSPCA Preventive Controls for Human Food course. The Blended course for Animal Food is expected to consist of two parts. Part 1 as the official modules FSPCA curriculum online that you can complete at on your own pace and a Part 2 instructor-led with exercises. Simple Compliance Solutions, LLC plans to offer Part 2 as live virtual instructor-led, offered in two 4 hour sessions that occur approximately monthly, or as arranged privately. During a part 2 session you will take a closer look at a Food Safety Plan to ensure you’re prepared to write or update your own plan to satisfy the new Preventive Controls for Animal Food requirements. The live interactive virtual session is of course directed by an FSPCA lead instructor. You must complete both Part 1 and Part 2 to receive your certificate. Mrs. Montgomery is an FSPCA Lead Instructor (Human Foods Certificate # 32c592bd, Animal Foods Certificate # 1bd2c691, Foreign Supplier Verification Programs Certificate # f3830814) with over 30 years experience as a food safety executive in large-scale manufacturing. Montgomery is the Principal of Simple Compliance Solutions, LLC and a Registered Microbiologist (National Registry of Certified Microbiologists). She can deliver the Preventive Controls course at your in-house or preferred location. Montgomery also provides consulting (See details on the Consulting Services page). 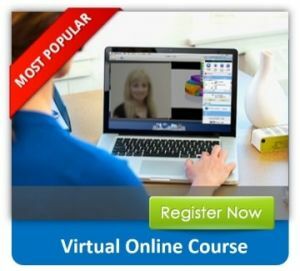 The live interactive instructor-led virtual online course is identical to the site-based course with the exception of it being conducted over the ZOOM platform. You will need webcam and headset to join the live conference training. You may purchase the course manual here. Alternatively you can download and print the approximately 500 page PDF. You need a printed version, as the electronic version of the PDF does not work well for participants because they have to move back and forth between the chapter and various appendices. If booking using Credit Card or PayPal is a problem for your organization, please contact us for invoice options. Upcoming dates for site based courses: No public courses are scheduled at this time. Please contact the instructor to express interest in a site-based public course or to request a private course. Beautiful Kiawah Island (near Charleston), South Carolina, 29455, at The Sandcastle, an Oceanside Conference & Event Center, One Shipwatch Road. (Kiawah Island is a world renowned conference and vacation locale, for families and special events, and voted # 1 island in North America by Conde Nast Traveler. Kiawah is the home of the Ocean Course: “Proud Host of the 2021 PGA Championship” and host of the 1991 Ryder Cup, 2007 Senior PGA Championship and the 2012 and 2021 PGA Championships and 4 other beautiful public courses, among numerous other awards such as # 1 Family Resort and # 1 Tennis Resort.) Note: the conference room has windows overlooking the beach and a deck to gather during breaks or access the beach for a walk. The Andell Inn(AndellInn.com, Tel: 843-793-6050), is a Boutique Village Resort Hotel, voted a Top 10 Hotel, 2015 by Southern Living Magazine and located in Freshfields Village, a unique town-center mix of shopping and dining, in a stylish atmosphere. Cancellations with refund up to 2 weeks prior. The $19.95 processing fee is not refunded. This course can also be delivered as private training in-house or at your preferred location for your company or organization. Please contact the Lead Instructor, Rachel Montgomery, to request a quote. Facility and corporate executives: bring your entire or key members of your food safety team to this public course (or as a private option) and take advantage of time to confer and to plan your compliance with this far-reaching rule. Bringing in key leaders and cross-functional team members can be instrumental in building or strengthening your food safety culture. It is also an opportunity to bring family members and combine business with meaningful family time at a resort location.